As a homeowner, it is important for you to have the basic knowledge of the different major components of your house. 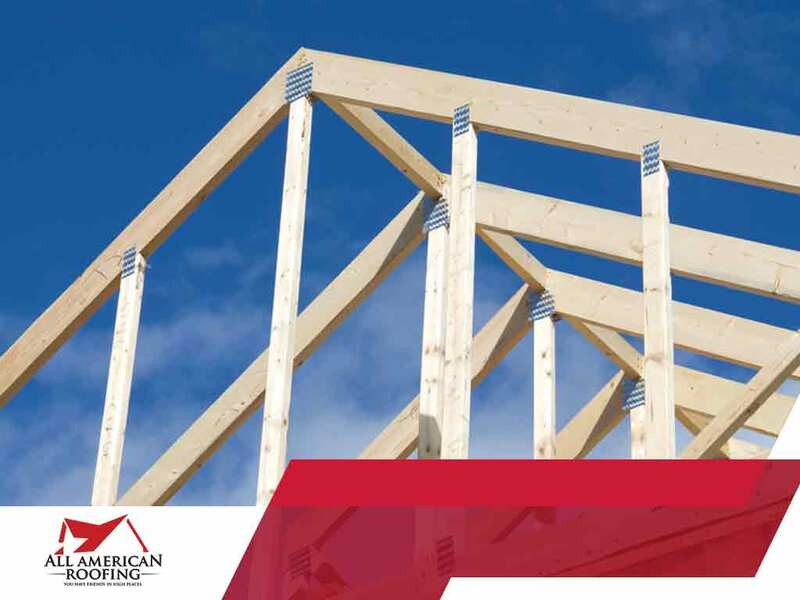 In this article, All American Roofing discusses the basic types of roof frames and what each one’s strengths are. These are the most basic types of roofs. They are characterized by two sides sloping in opposite directions, with gables at the end. This type is usually used as residential roofing in cold and temperate areas. Another common roof style, hip roofs are more difficult to install because their truss and rafter structures are more complicated. Hip roofs have sides sloping downwards to the walls with a square or rectangular shape. Their slopes are subtler compared to gable roofs. Flat roofs are the typical choice for commercial roofing. They are the simplest to build because they have little to no pitch. With this design, they give the structure a more sleek, polished look, making them a favorite for commercial structures. The easiest way to describe gambrel roofs is to say that they look like barn roofs. This type of roof has two slopes – the upper slope is positioned at a shallow angle, while the lower one is much steeper. While this type of roof is usually used for barns, they are occasionally used for homes too. Gambrel roofs provide a lot of attic space, so much so that houses with this type of roof usually turn their attics into bedrooms or living areas.